Alex Whitehouse is Founder of Whitehouse Wealth Management and a Financial Advisor in Vancouver, WA. Alex founded Whitehouse Wealth Management in 2013 because of his passion and dedication to helping clients build confidence in their financial future. Alex believes that confidence is achieved through education, transparency and most importantly, producing significant and tangible progress towards his client’s financial goals. Alex began his financial career as a Registered Representative with Northwestern Mutual Financial Network before moving on to inside sales, representing variable and equity-index annuities for Sun Life Financial. Prior to establishing Whitehouse Wealth Management, Alex spent 8 years as Regional Vice President and Business Consultant for John Hancock Funds, LLC. 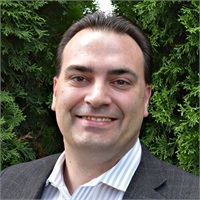 At John Hancock, Alex was a Business Consultant to premier financial advisors in the Pacific Northwest, providing sophisticated investment and wealth management advice to high net worth individuals and institutions. Alex now uses this depth of knowledge and experience to develop, implement, and monitor state-of-the-art financial strategies while nurturing exceptional relationships with clients. Having developed a skillful proficiency of IRA rules and regulations, Alex has written and delivered numerous presentations on IRA mistakes and opportunities. He assisted John Hancock Funds and Ameriprise Financial in their designs of restricted beneficiaries and has been a key resource for IRA knowledge for financial advisors. Alex earned a Bachelor of Science in Business Administration from the University of New Hampshire Whittemore School of Business and holds several designations including the Accredited Investment Fiduciary (AIF®), Chartered Retirement Planning Counselor (CRPC®), and Certified Wealth Strategist (CWS®). Alex treasures time with the loves of his life, his wife and daughters. The Whitehouses take every opportunity to explore the amazing natural beauty of the majestic, family-centered Northwest. Rain or shine, it is not uncommon to find them at the beach during the weekend.